We kick off our month long draft coverage by taking a look at the Patriots top five needs. The Patriots have lost some key pieces from last season’s Super Bowl team to free agency and retirement. The draft will provide them the opportunity to replenish some of what they lost. Here are the Patriots top five needs in order of importance. 1. Tight end: Replacing Rob Gronkowski is virtually impossible from a production standpoint. No tight end in this year’s class will match Gronk’s prime years in terms of production. That being said, this draft features a talented group of tight ends that posses size and athleticism. The Patriots could very well target the position with the 32nd pick of the first round. 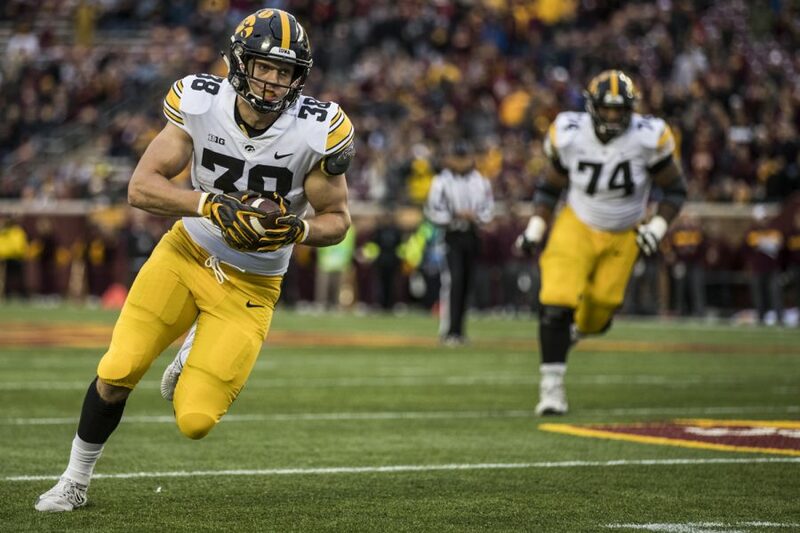 The top two tight ends in the class, Noah Fant and T.J Hockenson from Iowa will more than likely be gone. Alabama’s Irv Smith could be available and if he is, the Patriots could select him with their first round pick. Smith would be only the second tight end selected by the Patriots in the first round in the Belichick era. The Patriots selected Benjamin Watson our of Georgia with the 31st pick in the 2004 draft. 2. Wide receiver: The Patriots must address the wide receiver position in this draft. Bill Belichick has missed a lot at this position through the years. Other than Julian Edelman, there have been several high profile busts during the Belichick era. Most notably, Chad Jackson, Bethel Johnson, Taylor Price and Brandon Tate. All of these receivers are examples of how little success the Patriots have had in terms of using the draft to fill this position through the years. Belichick never views his roster the same way the outside world does. We might think this is one of their most pressing needs but I can guarantee you he doesn’t. He likes the receivers they have added in free agency and is perfectly willing to go into the season with the current group on the roster plus another one or two additions. The Patriots will more than likely draft a receiver but do not expect anything before day three. 3. Defensive tackle: The Patriots lost Malcolm Brown in free agency and elected not to re-sign Danny Shelton. They did however sign former Packers and Jets defensive tackle Mike Pennel to a two year deal. Defensive tackle has been a position the Patriots have targeted in past drafts. They have gotten good mid round value and that is where the Patriots will once again focus their efforts in terms of upgrading the position. 4. EDGE rusher: The Patriots lost Trey Flowers in free agency but did trade for Michael Bennett so in essence they are replacing Flowers with Bennett. With Derek Rivers and Deatrich Wise also on the roster, this isn’t a position of “need” per say but it is a position Belichick will target for depth and development purposes. 5. Offensive tackle: The Patriots need an insurance policy in the event that second year tackle Isaiah Wynn is not ready by training camp. Depending on how the board shakes out, the Patriots could go offensive tackle on either day two or three. Either way, Belichick will address the position.